Every six years, the Canossian Sisters convoke a “General Chapter”, a formal body comprised of our Sisters from all around the world. The Sisters nominated, will meet this coming spring in Rome. Prior to that, each of our 19 provinces is conducting their own Chapters through which they feed issues for discernment into the preparation for the General Chapter. The Sisters of the North American province of Cristo Rey will be meeting from November 11-19, during which we will review our journey and plot the course for the next six years. We will also elect from among us a Chapter Sister who will represent the Province in Rome at the General Chapter in the spring. It is a time of intense prayer and discernment. Will you join us? O Saint Joseph, hear my prayers and obtain my petitions. 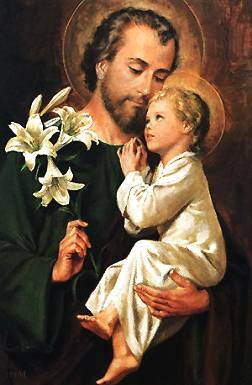 O Saint Joseph, pray for me. Saint Magdalene of Canossa, Pray for us! Saint Josephine Bakhita, our Universal Sister, Pray for us! Venerable Fernanda Riva, Pray for us! Thank you very much for your inviting. I will join to pray to Saint Joseph as your preparation. Thank you Sr Lisa. My prayers will be for this intention as we approach the time for our Provincial Chapter. May the Holy Spirit guide us and prepare our hearts and our minds to discuss such important matters concerning the life of our Institute and the sanctification of its members.